These belts are ideal for lawn and garden applications. 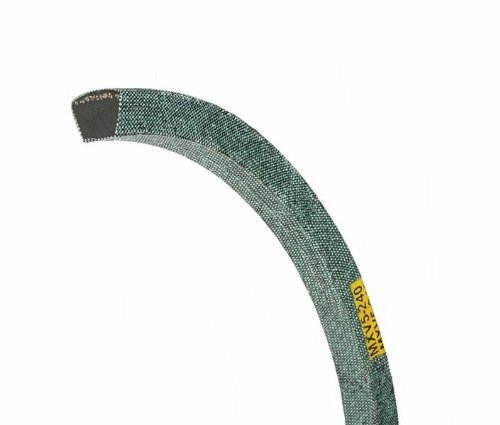 The special aramid tensile member guarantees excellent shock resistance while the bare back construction special cover assures smooth belt release and engagement in clutching applications. Special oil and heat resistant synthetic rubber. Part number denotes nominal top width and Length. Designation Number is 1/2" nominal width and 30.0" approximate outside circumference - Example: MXV4-300.